As December reared its head, I suddenly realized I had no exciting New Year’s plans. My usual vacation wasn’t as appealing as it had been in winters past and I yearned for something new. Conversely, after a particularly indulgent Thanksgiving, I felt like a small whale, and wished I could lock myself away somewhere to magically return to my Summer self. 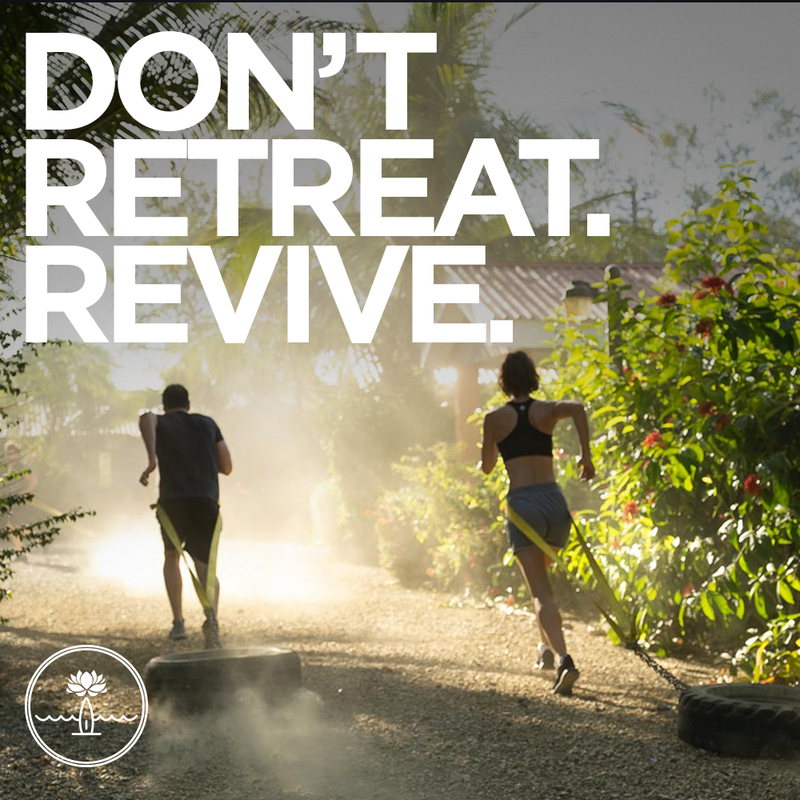 However, the idea of ringing in the New Year in a detox retreat felt real depressing and uninspired. This was my mindset when I stumbled upon SYB’s Instagram page. My first thought was that everything looked amazing. But on second thought, going on a full-blown fitness adventure seemed a bit terrifying to me. What if I didn’t like the people, the accommodations, or the food? What if, what if, what if? After some serious Insta-investigating, I decided to try Mantas’s bootcamp in order to gauge whether or not I could weather a week under his leadership. It turned out to be the nudge I needed to make the booking - he led a great workout with contagious energy. Many people there had been on SYB trips and raved about them. They also didn’t seem like complete lunatics, which was reassuring. I was sold, so I booked the New Year’s trip to Costa Rica. The adventure that followed surpassed my expectations in every way possible, and made me wonder why I ever had doubts in the first place. The natural beauty of Costa Rica was the perfect backdrop for such a unique experience. 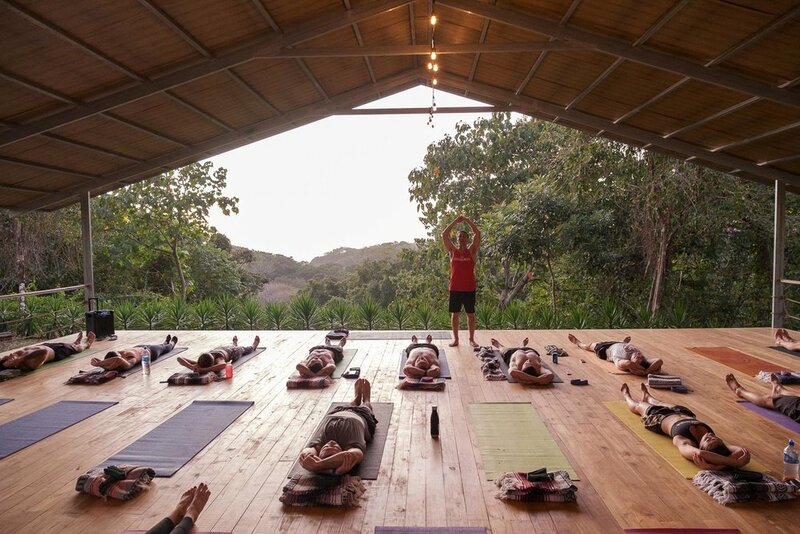 Every day was filled with challenging workouts, innovative yoga classes, and countless activities. The 40 strangers I nervously introduced myself to on the first day somehow turned into friends. The spirit of camaraderie was ineffable and I am sure that many of these relationships will flourish into genuine, lasting friendships. Looking back, I shouldn’t be surprised by how quickly and meaningfully we all bonded. We essentially got to go back to Summer camp, with the (relative) wisdom of adulthood and the added bonus of unlimited margaritas. We were together from dawn until late at night, playing tag on a sprawling, deserted beach, kayaking through mangroves, playing car-games on our way to town in a packed van, sharing dinners by the pool, counting down the New Year around a bonfire, and so much more. I can’t think of another week where I sweated as much, laughed as much, experienced as much, and worried as little. This is Gab getting his dance on during our Salsa Lessons on night #3. After hearing about SYB he went to a bootcamp class they hold on Friday nights to scope out if this was even a real company or a catfish situation, lucky for him SYB was the real deal!